We have perfectly matched the Flexitime system for you and have provided it with an intelligent time concept. That is why you can individually combine the different materials for all impression techniques. Consequently, Flexitime adapts perfectly to your personal treatment preferences. 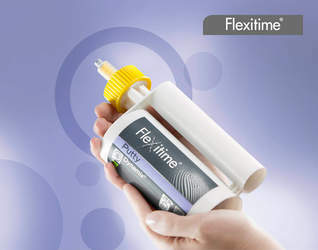 Flexitime offers outstanding precision thanks to the balance of physical properties at the highest scientific level. The flexible working time combined with an always short intraoral setting time enables stress-free, time-efficient working with a high level of flexibility. Flexitime is the problem solver* even for challenging cases – because excellent impressions form the basis for precisely fitting prosthetics and satisfied patients. *Dental Advisor 2012: Distinction as “Clinical Problem Solver”. 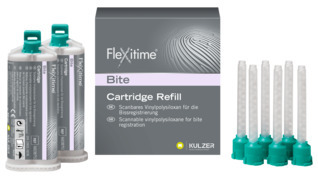 With Flexitime Fast & Scan you can save even more time thanks to the extra-short intraoral setting time. 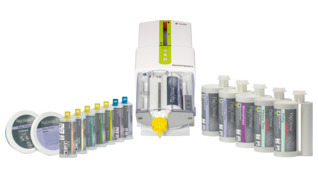 As a powder-free scannable impression material it also ensures more efficient workflows in digital dentistry. 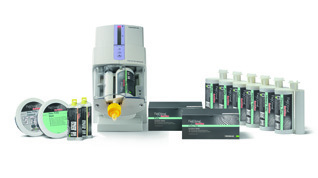 The optimised formula of the Flexitime Monophase Pro Scan, which is directly scannable too, offers all the advantages of the Flexitime system for its monophase indications and is especially well suited for implant impressions. 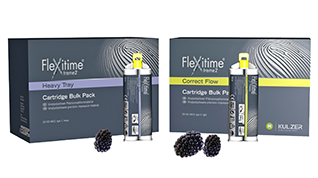 The Flexitime system adapts perfectly to your personal treatment preferences. It is provided it with an intelligent setting time concept and the different materials can be individually combined. Flexitime Bite is a scannable bite registration material that is suitable for both universal bite registration and also for powder-free optical data recording in CAD/CAM technology. Flexitime Fast & Scan offers significant time-savings and the additional option of direct digital scanning. In combination with cara Scan 4.0i it provides higher precision and detail by digitizing traditionally taken impressions. The Original Single Unit Impression Solution – with a Berry Twist ™.